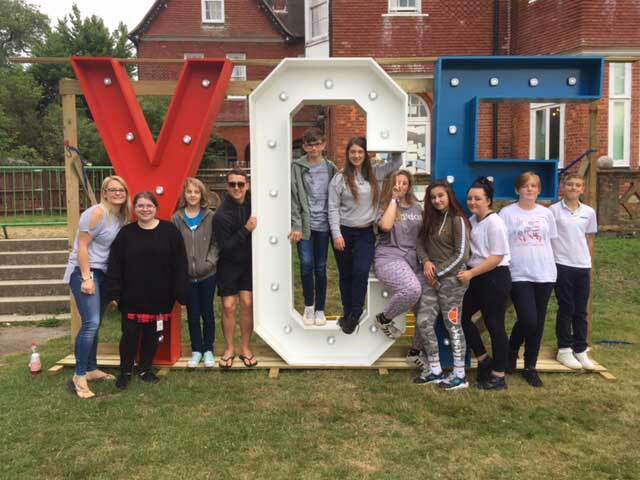 Stoke Damerel Young Carers Group - Glowing Stars - was set up five years ago to support students who are young carers of parents or siblings with a mental or physical illness. There are more than 166,000 young carers in England and those figures are rising every year. The Stoke Damerel group meets every Monday from 3-4pm and is run by Miss Fisher with the support of Student Support Advisors across the year groups. "Activities in these meeting times include movie nights, arts and crafts, cooking, pamper evenings and games nights. We also organise a variety of trips on a yearly basis which vary every year," said Miss Fisher. of bread every week to enable the young carers to have breakfast before they start school. "We have a dedicated room for young carers - decorated by members of the group and filled with comfortable furniture to make it a welcoming and calm place to be. "Students are be able to book the room and use it at break time, lunch time and at the end of the day. "We have received the Young Carers In Schools Bronze Award to recognise the support we provide to young carers here."